THIS ITEM IS NOT AVAILABLE AT PRESENT. 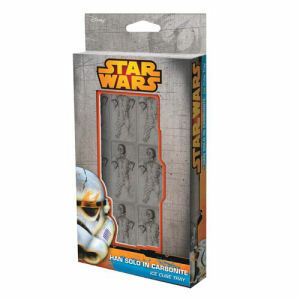 WE WILL NOT BE GETTING ANYMORE Star Wars Han Solo in Carbonite Ice Cube Tray. From the Star Wars collection by ICUP. 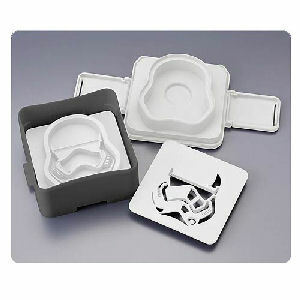 Star Wars Han Solo in Carbonite Ice Cube Tray. Measures 9.5 inches tall by 4 inches wide by 1 inch deep.